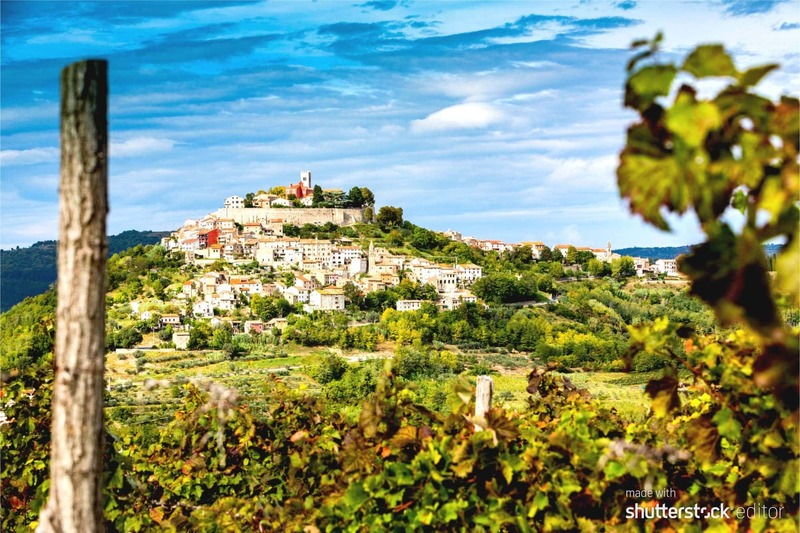 Discover the beautiful green countryside of the Istrian peninsula. 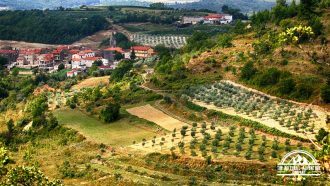 Walk through olive groves and vineyards, rivers and forests, scenic villages and medieval towns, on winding hill and mountain trails. 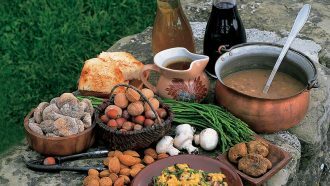 The Trails and Wines of Istria takes you to the heart of the impressive landscapes of Croatia and offers the chance to experience the delicious flavours of indigenous Istrian delicacies and wines along the route. 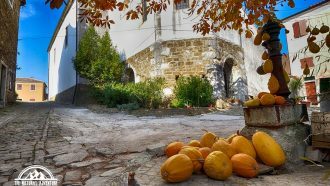 The itinerary starts with walks through olive groves and vineyards to Buje – a town full of history and culture. 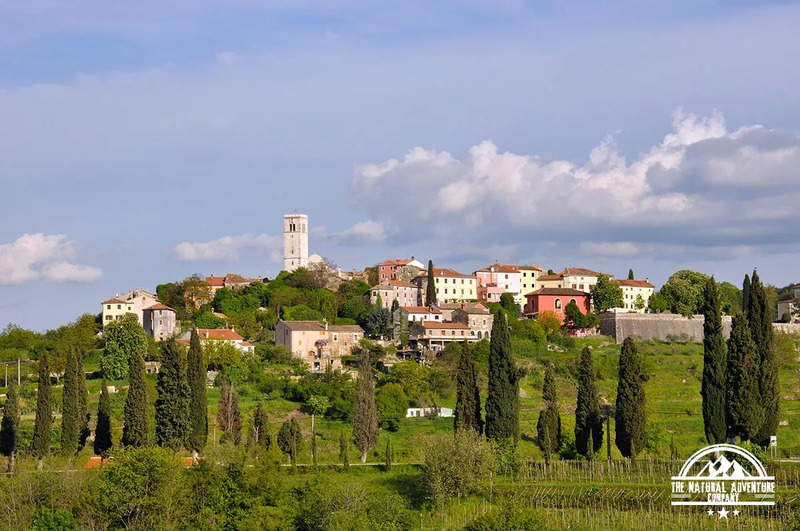 From here you’ll follow the Parenzana, an old Austrian railway line, through tunnels and bridges amongst the Istrian hillsides to Grožnjan (the city of artists), Livade (the truffle centre of the world) with an overnight in Motovun. 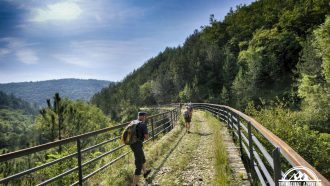 The hiking continues along mountain trails with beautiful views of Istrian landscapes onto Buzet. 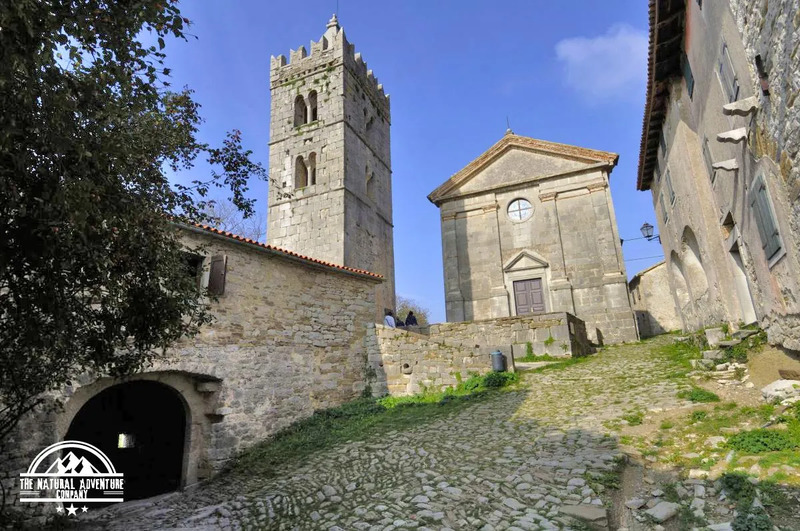 From Buzet, there’s a circular walk to Hum, the smallest town in the world. 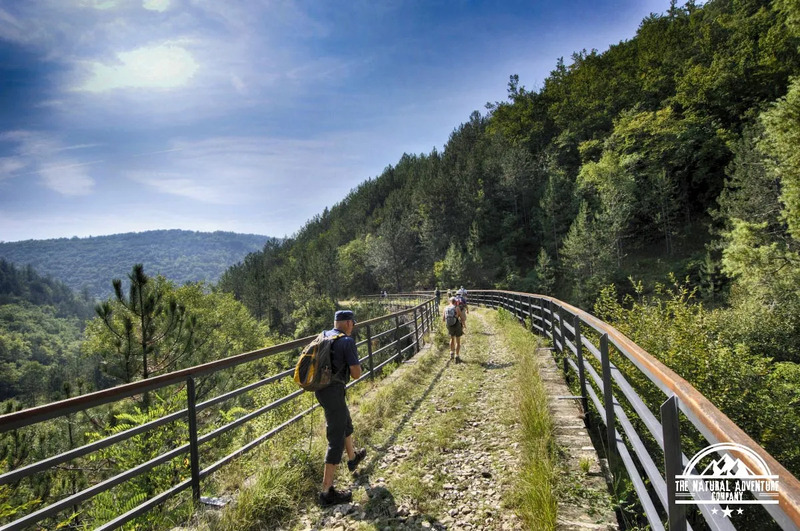 To complete the tour, there is a hike to the summit of Učka mountain (the highest peak in Istria, 1,401m) with stunning panoramas of Kvarner bay and the of the Istrian peninsula. 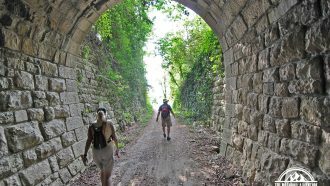 Finally, the trail descends back down through the oak and chestnut forests of Učka National Park to Lovran on the Adriatic coast. Explore the rich cultural heritage and local culinary delicacies. Arrival in Istria. Info meeting with our local representative at the hotel reception area. We will provide you with any additional information you may need about your trip, answer the questions you may have, and give you final instructions. Overnight in Buje area. 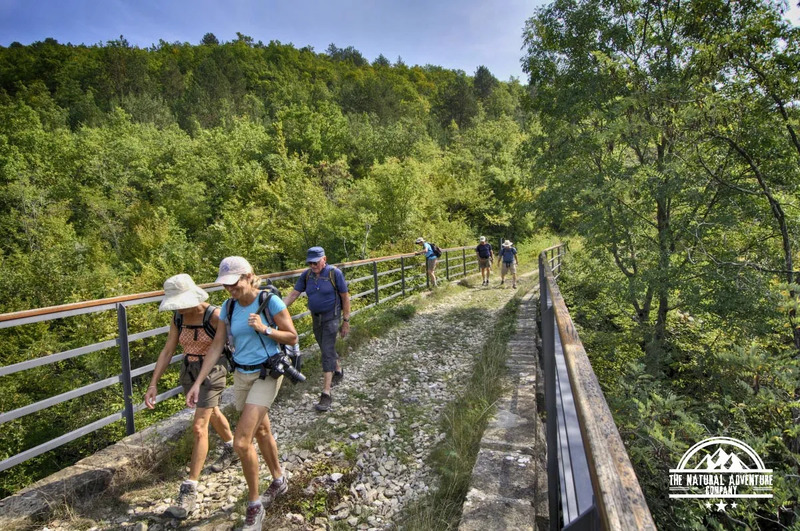 Short transfer to Portoroz in Slovenia where you start walking following the legendary route of the Parenzana, the former narrow-gauge railway line which penetrates deeply into the Istrian peninsula connecting 33 Istrian cities and towns from Trieste to Poreč (Parenzo in Italian). Being defunct for many decades, in recent years its route was turned into a hiking trail. 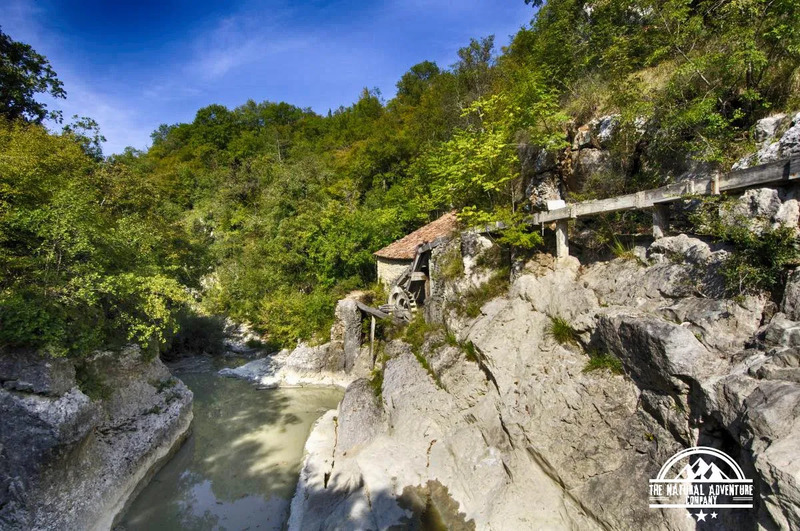 You will pass by the salt mines of Secovlje, a Slovenian town popular among birdwatchers. Later you will cross the Croatian border and walk on a gentle uphill to the hotel. 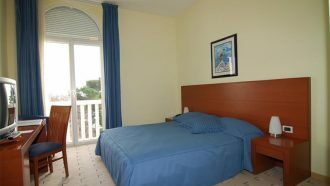 Accommodation: Hotel Casa la Parenzana in Volpija or Lovac in Kaldanija. 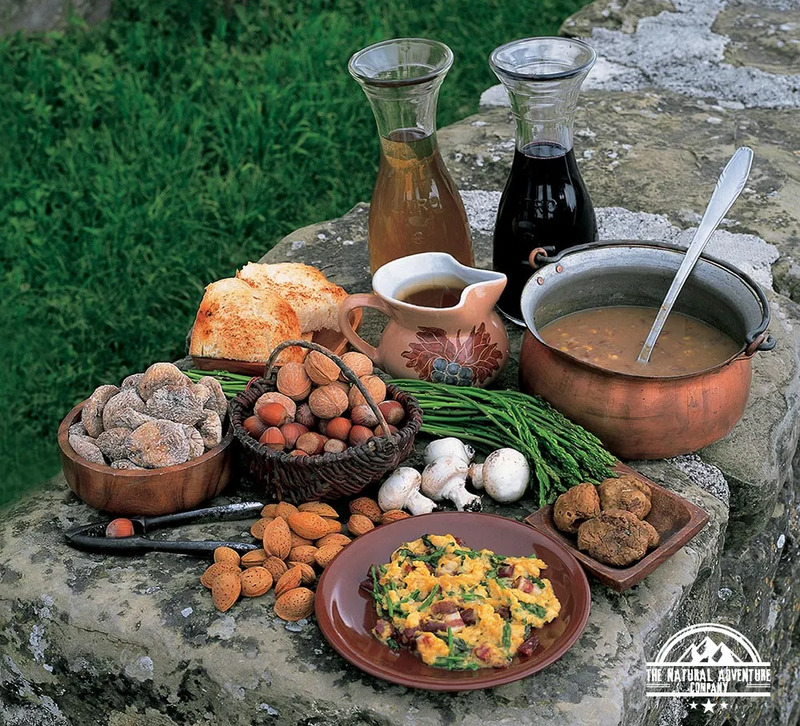 After breakfast, you will be ready to start exploring Istrian villages and hidden paths. After a short, 10 minute transfer, walking continues on the ex-railway Parenzana. 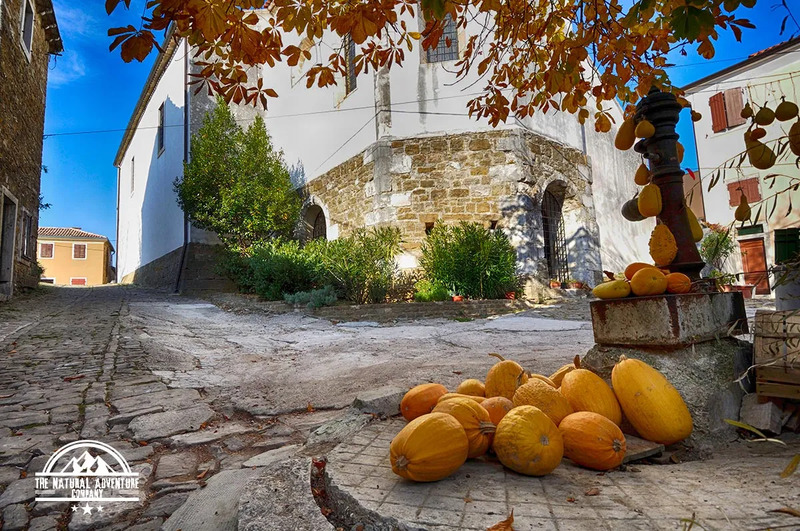 Grožnjan will be your starting point. 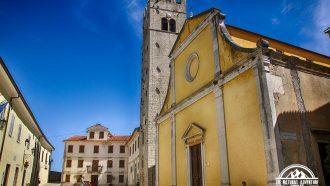 After you see its galleries and viewpoints you can pass through magnificent rolling landscapes and lovely Istrian vineyards. You will pass through several small tunnels and over picturesque old bridges. 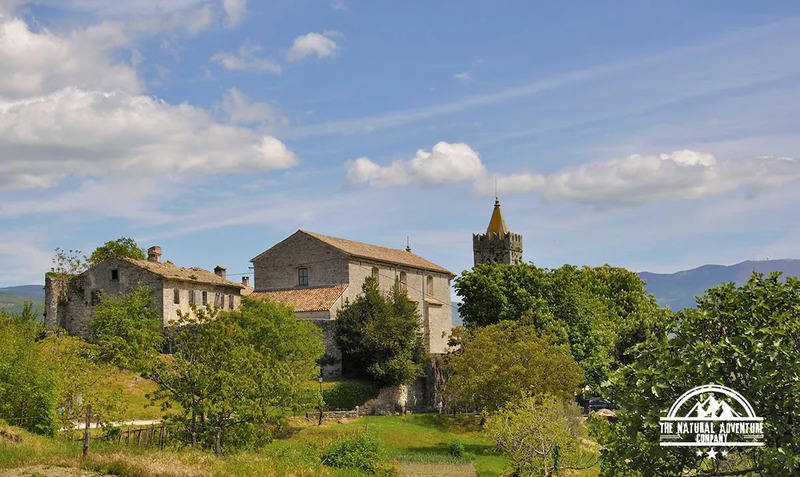 You can stop at many viewpoints before reaching the village of Livade, the truffle centre of the world. There you can taste and buy some products with truffles. Overnight in Motovun. 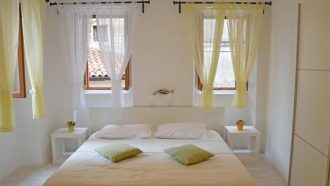 Accommodation: Hotel Kaštel 3* or Villa Borgo 3* in Motovun or similar. 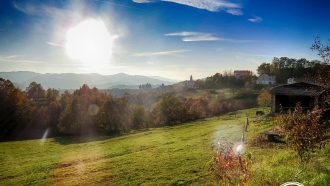 Today’s hike will start from your hotel descending from the hilltop to the walking trail which guides you through vineyards to the small village Brkač where you can have a traditional Istrian lunch in a local tavern. On Parenzana trail you will head back to Motovun. On the way back, you can stop at a small winery where you can taste the superb local wines. Walking distance: Ascent: 430m. Descent: 430m. Distance: 12 km. Time: 3-4 hours. After breakfast, a short transfer will be arranged to Oprtalj. 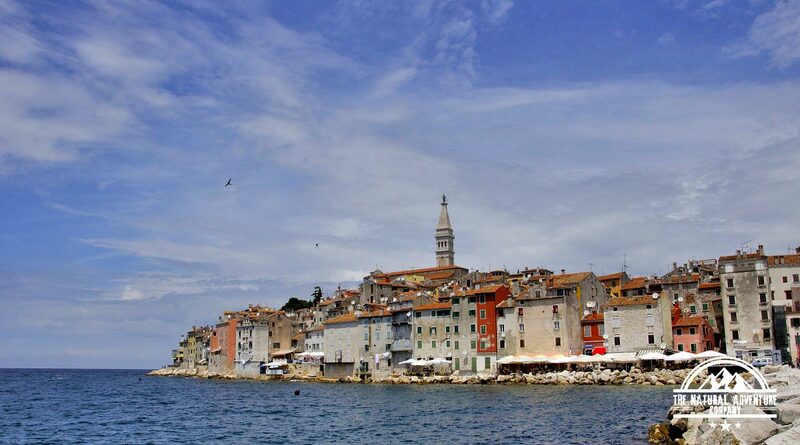 This is a picturesque little town located deeply in Istrian peninsula from where the Istrian Mountain Trail begins. The route goes downhill into the forest, passing through Saint Ivan (St John’s) village. Next village is St Lucija, famous for its incredibly beautiful church. 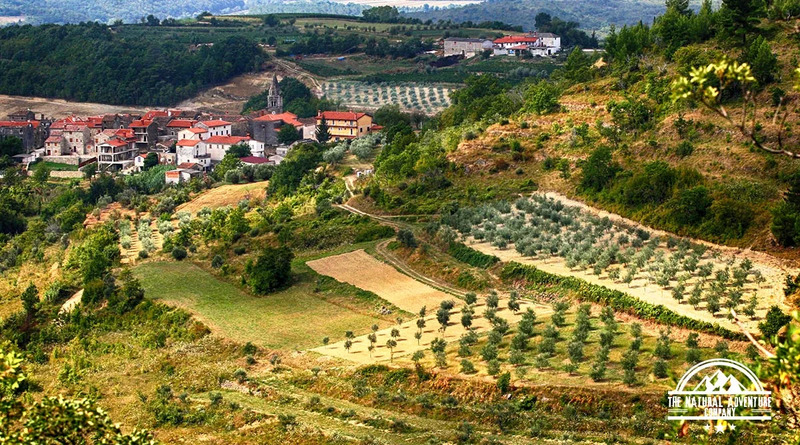 Through a few more villages you will get to one of the most famous local viewpoints, overlooking the Mirna river valley. The trail is passing by the Pietrapelosa castle and leads down into the valley. 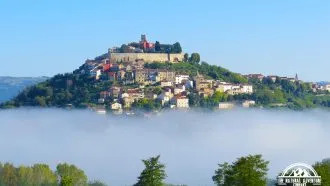 After passing an aqueduct, the path goes up the hill towards the village of Mali Mlun and opens a beautiful view over the town of Buzet. 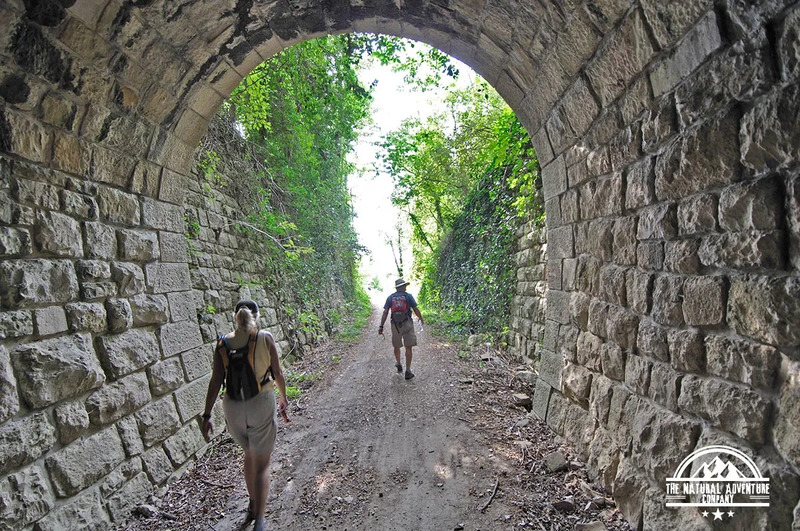 Through a beautiful forest and fields, the trail will get you to Buzet. Overnight in Buzet. Today’s trail starts by the river and turns into the forest, passes over a shallow river (or riverbed if it’s dry), followed by some waterfalls and lakes. 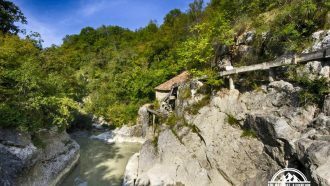 Nice and not too steep, the trail leads you all the way to Korita, the water springs with natural pools and an old watermill. 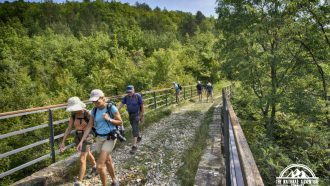 The route then continues following the riverbed and passes trough Benčići, an abandoned village where you can see traditional Istrian stone houses. From there you’ll see Hum and its recognisable church tower in the distance. When you get to Hum, take a walk, and you’ll understand why it is the smallest town in the world. In Hum you can have a meal in the local “konoba”, a word from the local dialect that means restaurant. 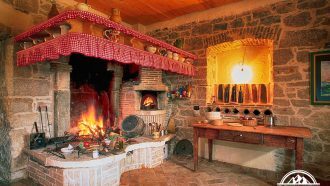 The “konoba” in Hum offers you nothing less but simple and delicious traditional Istrian dishes. The “way of mistletoe” will then lead you all the way back to Buzet. Overnight in Buzet. Transfer to Poklon, the saddle between two hills from where the trail begins. It goes on the top of the Učka mountain which is the highest mountain in Istria with an altitude of 1,401m. From the top, the path goes all the way down to sea level in Lovran. The path is shadowed by oak and chestnut forests that give incredible freshness during the hot summer days. The very summit of Učka (Vojak) is worth climbing for the stunning panorama. The panorama of Kvarner bay includes sea and coastal towns, as well as the mountains in the background: Obruc, Snjeznik and Risnjak Western side. This is the moment when most of the Istrian peninsula lies before your eyes. On clear days the view opens towards Venice and the Alps on the north side. 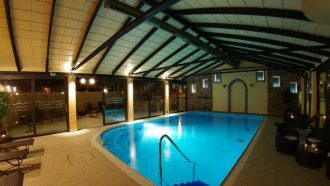 Accommodation is mainly in small, locally-run, 3 or 4-star hotels and guesthouses typical for the region; some of the hotels have swimming pools ans spa facilities. Breakfasts are generally buffets that take your active program into consideration with a variety of low-fat and high-nutrition choices. Lunches and dinners are generally on your own, but arrangements with accommodation can be made on the spot. The most convenient airports are Pula and Trieste, which have direct local buses to Buje bus station. 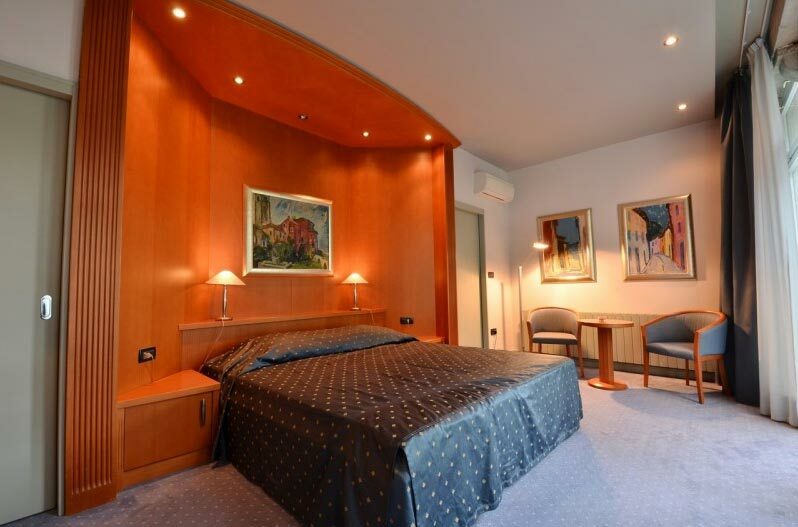 Transfer from Buje bus station to the first hotel is included in the price. Pula is the regional airport and flights from the UK are available from different airports. 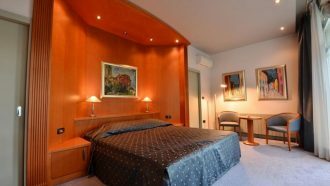 Trieste Airport is the closest airport serviced by direct flights from the UK with Ryan Air and Alitalia offering services. Airport Option 1: Pula to Buje – public transport is available from Pula to Porec and then a private transfer to your hotel is included. Alternatively, we can arrange a private transfer directly from Pula to Buje. Airport Option 2: Trieste to Buje – limited public transport is available, and we recommend pre-booking a private transfer. Airport Option 1: Lovran to Pula – public transport is available. Alternatively, we can arrange a private transfer from Lovran to Pula airport. 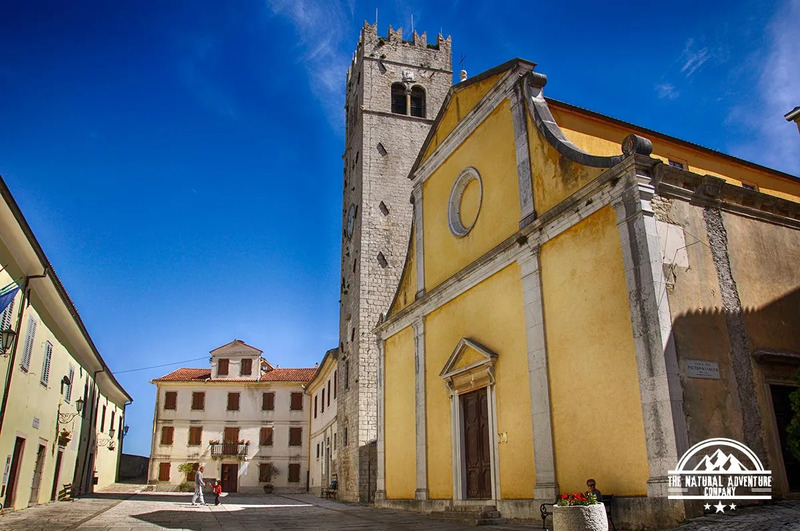 Airport Option 2: Lovran to Trieste – limited public transport is available. We can recommend pre-booking a private transfer. Buses are available from Pula to Buje (approx. 1hr 30m) with local bus companies such as Brioni and FILS. 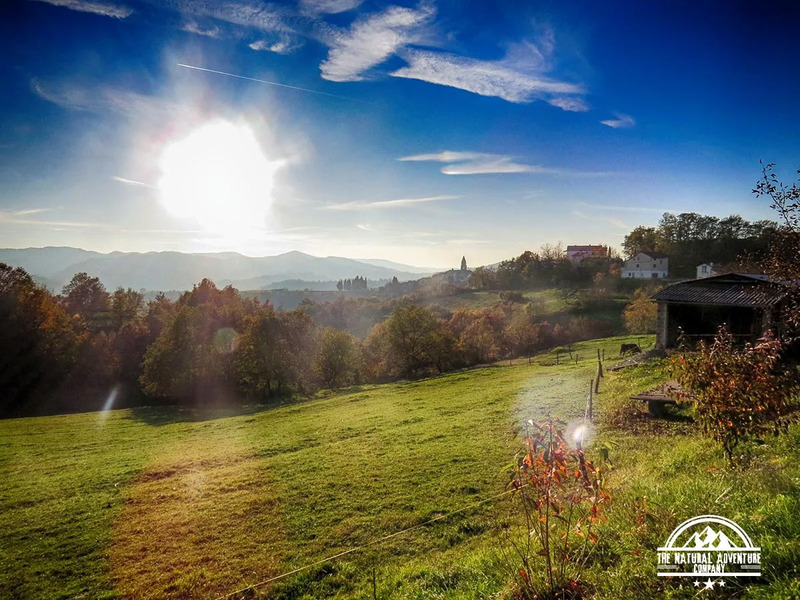 A representative of The Natural Adventure Company will collect you from the bus station in Buje or Porec and take you to first accommodation. They offer a very economical alternative to public transport, in some cases equivalent to the cost of public transportation in the UK. They can be arranged from/to airport to hotel for arrival and departure upon request (please indicate when completing the online booking form). We recommend private transfers if your arrival/departure airport is Trieste. On walking days, your luggage is transferred to your following night’s accommodation. Luggage transfer is mostly carried out by us and sometimes we also use the accommodation provider or a local taxi service. Bags should be ready for collection by 09:30 am and will be at your next overnight stop by 3 pm. Croatia is a Central European and Mediterranean country, bordering Slovenia in the west, Hungary to the north, Serbia in the east and Bosnia and Herzegovina in the south. The country also has a long maritime border with Italy in the Adriatic Sea. Croatia has an unusual shape (similar to a croissant), which comes as a result of five centuries of expansion by the Ottoman empire towards Central Europe (although Croatia was never conquered by the Ottomans). Croatia has an incredible 5,800 km of coastline, 4,100 km of which belong to islands, cliffs and reefs. There are 1,200 islands in the Adriatic, but only about 50 are populated. 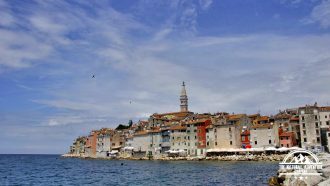 The largest island is Krk (near Rijeka) which has a land area of 462 sq km, while the country’s other well-known islands include Hvar, Brac, Korcula, and Pag. The local currency in Croatia is the Croatian Kuna (HKR). The best way to carry money is a combination of cash, cash cards and credit/debit cards. ATMs are available all over Croatia and are the safest and easiest way to access cash. Traveller’s cheques are not widely accepted and attract high rates of commission. Make sure that you change any money that you will need for the day ahead. Foreign currency can be exchanged in banks, exchange offices, post offices, travel agencies, hotels, camps, marinas. Cheques can be cashed in banks. Please note that bank hours are very different from bank hours in the EU. Most banks are open only in the morning from 8 a.m. to 12:30 p.m. and a couple of hours in the afternoon. If you need to change money during the tour, we recommend that you look for a bank in the morning. Note, Euros are accepted at some larger shops and hotels and generally taxi shuttles. Credit cards are not widely accepted. Up-to-date travel advice on Croatia is available here. This trip requires a moderate physical condition. Often there is a choice of shorter or longer walks. 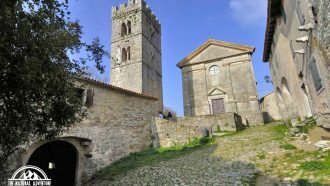 The terrain varies from paved and cobblestone streets (during village exploration) to single-track trails with loose stones or gravel, rocky paths, ancient ruins, and sets of ancient stone steps. The trails are often exposed to the sun (read more about difficulty grades). Some of the walks on this trip are marked but many are not, and you will need to follow the route notes and maps / GPS tracks supplied. You will walk mostly on unpaved roads and hiking trails; some sections may include walking on asphalt. 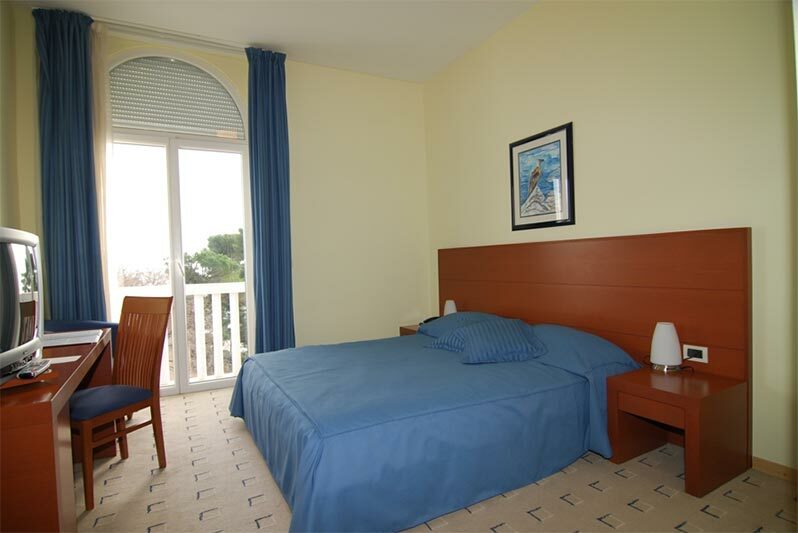 This trip is available from March until November. Traditionally April/May/June and September/October have always been the most popular time of year because the weather is best. If you choose to visit during July and August, you should be aware that temperatures may be high and make walking slightly more difficult. 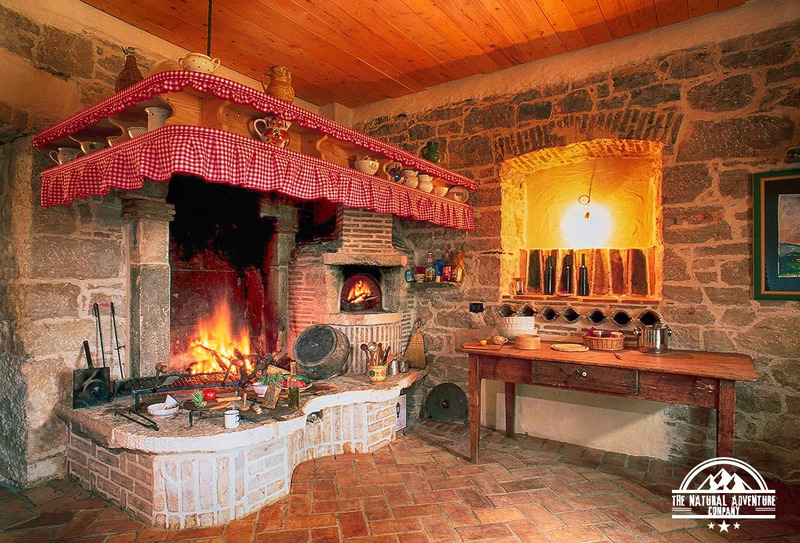 The climate in Istria is mild, Mediterranean, where there are warm and dry summers and mild and pleasant winters. The average air temperature during the coldest part of the year is 6ºC, and during the warmest – 30ºC. *To calculate the price of the tour for a specific date, including the cost of different options and supplements, please click CHECK AVAILABILITY button above, pick your date and number of people. On the next screen you can choose desired options and extras and see the total price of your holiday before you decide whether to submit a booking enquiry. Lunches, dinners, drinks & snacks. 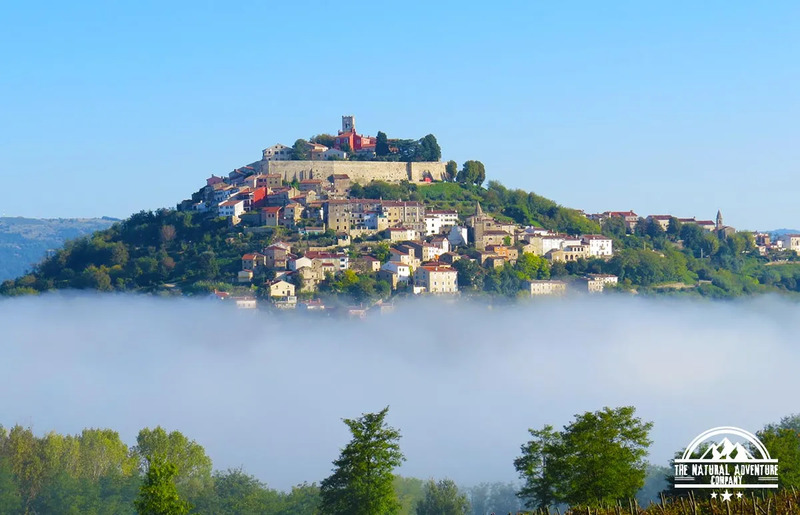 Buje was known as the “Sentinel of Istria” for its hilltop site located 10 km inland from the Adriatic Sea. The old town offers astonishing views of the surrounding scenery, dominated by Mediterranean flora, vineyards, and olive groves. The town developed from a Roman and Venetian settlement into a medieval town. Buje was part of the Republic of Venice from 1358 until 1797, and was part of unified Italy from 1918 to 1945. With its narrow streets and a central square, the old town is a fine example of Medieval architecture with strong Venetian Renaissance architecture influence. 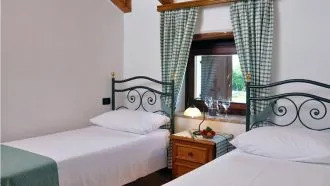 Accommodation: Hotel Casa la Parenzana 3* or Lovac 3*. Lovran is one of the oldest coastal settlements on the eastern shore of the Istrian peninsula. By the early Middle Ages, it was an important urban and shipbuilding centre of northern Adriatic. The region is rich with cultural-historical heritage. 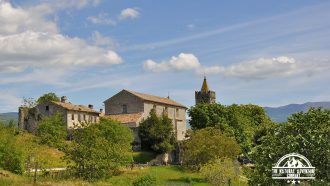 A parish church with medieval frescoes and Glagolitic inscriptions, and the 14th-century tower of St George’s Square within the old urban core, as well as rural ambiences and architectural edifices – namely turn-of-the-century villas with surrounding parks, are general points of interest. Beach Kvarner (Civic) is the main beach in Lovran, at the east entrance. It’s made of sand and concrete. Peharovo Beach is located on the west side of Lovran. The beach is pebbly and is located on the promenade. We had the best time on our trip. Thanks for being so responsive and for your services. The areas we travelled in Slovenia and Croatia were beautiful. All our accommodation was very good. 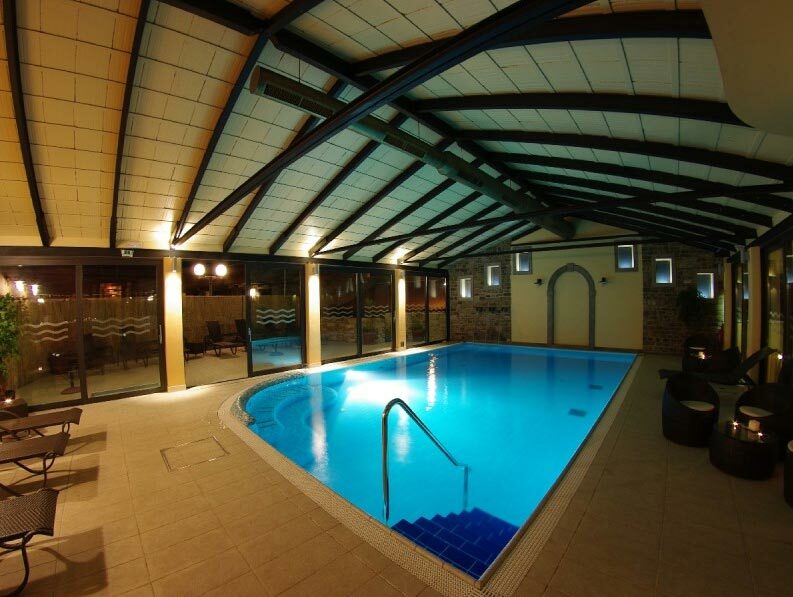 As advertised, the accommodation was well located, was clean and the staff was friendly and helpful. All the transfers went well with clean vehicles, polite and helpful drivers who were always prompt.